For nursing moms at Brookhaven National Laboratory, their first lactation room is located in Building 490 – Room 8-13 and is available to nursing mothers who are employees and guests. However, you must register with Human Resources/Occupational Medicine (HROM) to use the room on an ongoing basis. There is no fee for the use of the lactation room. 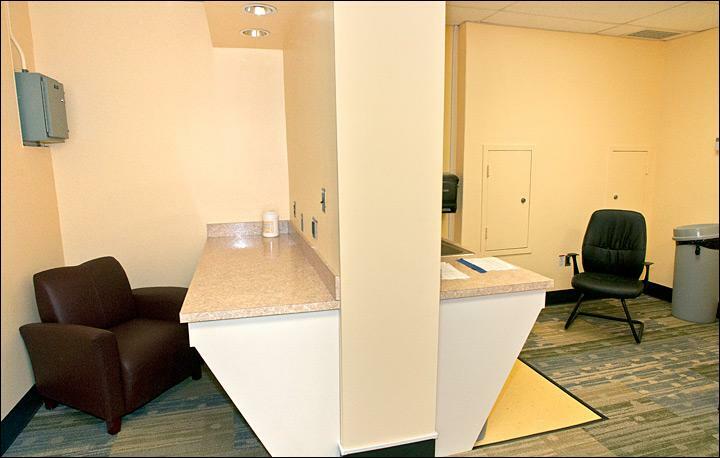 The lactation room offers a dedicated, hygienic, private and quiet space for nursing mothers to pump their breast milk during their time at work. The room contains two private stations with comfortable chairs, electrical outlets, telephone, sink with running water, and refrigerator for milk storage, lock boxes for securing stored milk, antimicrobial cleaning supplies and distress alarm. Mothers are encouraged to register to enroll in the lactation program and agree to the established guidelines in order to use the facility.